What Makes a Learning Game Worth While? There are hundreds of learning games on the internet. Most of these learning games use a Freemium Pay Structure. A Freemium Pay Structure is when you get the basic learning game for free, and pay for the enhanced version of the game. This is a great structure, because you can try the game out before purchasing anything. In some cases the games are structured in a manner that provides the educational value with the free version. Some learning games have incredible graphics, others are heavy on action, but light on learning. How do you know if your child’s “Game-Play” is time well spent? Learning Game must keep track of children’s educational progress. In order for a learning game to be effective, it must have questions that are aligned with the current educational standards. Right now, all but 5-states (Oklahoma, Texas, Virginia, Alaska, Nebraska, Indiana, and South Carolina) have adopted the Common Core Educational Standards. With that said, even these states follow a similar guideline. Although the standards in these 5-states do not conform to the Common Core Standards, most children are still learning to multiply and divide numbers in the same grade. Most children have a similar reading level requirement at each grade. And, most children have similar writing requirements at each grade level. This is good news, because it means that children across the US that are in the same grade are studying similar concepts within reading, language arts, and mathematics – even if their state did not incorporate the Common Core Standards. This also means that if a learning game aligns it’s questions to the Common Core Educational Standards, the the majority of the questions will be aligned with what children should be learning across the US. All legitimate learning games are aligned to today’s educational standards. Just as all children learn to walk and talk at different times, children learn to read, write, and do math at different times. Within any given classroom across America, you will find that most children are at grade level, while others are achieving above grade level, and still others that are achieving below grade level. If your child is below grade level, the important thing to remember is that they can catch up and have a successful educational career. I have seen this happen again and again. However, this does not happen without motivation, encouragement, and learning strategies. 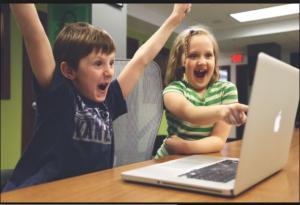 All children can have a successful academic career, and free learning games can definitely help! The wonderful thing about learning games is that most of them have been programmed to adjust the gameplay to each player’s ability level. However, you do need to be aware, because many times this game-aspect is within the paid version. Creating an educational game is a tricky balance between learning and playing. If the balance tips too far towards the learning aspect, the game feels too much like homework. If the balance tips too far towards playing aspect, then the learning is lost or so insignificant that your child is not learning anything of value. I believe a 50/50 balance offers the best opportunity for learning. If the educational game focused 50% of it emphasis on learning, reviewing, and instructing educational concepts, and 50% on the gaming or playtime aspect – then you have an effective educational game. The educational aspect should review concepts that children have already learned in school. This is important, because all the concepts taught in school spiral in difficulty. For example, children learn how to add in 1st and 2nd grades. In 3rd grade the difficulty level spirals up, and children learn multiplication through a concept called repeated addition. In 4th, 5th, and 6th grades the difficulty level continues to spiral up, and children learn to multiply 1-digit numbers by 3-digit numbers (7 x 578), then 2-digit numbers by 3-digit numbers (47 x 578), and finally how to multiply decimals (4.7 x 5.78). As you can see, this is 1-educational strand that has spiraled up in difficulty. By spending time reviewing what they have learned in class, children solidify their knowledge on that concept. Most legitimate learning games have a healthy educational balance. For an educational game to be truly effective, it must also have video tutorials that explain why the player got an answer wrong. The best way to do this is with a video tutorial that is linked to each question. However, here is where our 50/50 rule gets a bit tricky. If a child continues to get one problem after another wrong, they will spend their entire gameplay watching video tutorials. If that happens, the game becomes more like homework than fun, and the child will not want to play any longer. Therefore, it is important for the game to be designed in such a way that limits the amount of wrong answers that take the child to a video tutorial. In my mind, the most significant aspect of the Common Core Standards is the fact that children are required to explain their reasoning. Children must tell you how they got their answer. They do this by explaining the step-by-step process which gave them the answer. For math, children restate the problem and then show the mathematical process that led them to the answer. For reading comprehension, children restate the questions and then go back to the text and show the author’s sentence or paragraph that answers the question. For writing or grammar questions, children restate the problem and then show the proper writing structure for the question. Answers to questions are explained in a similar manner for science, history, and social studies. I believe that explaining your reasoning is one of the most effective ways for children to learn. As a matter of fact, teachers have known this long before the Common Core Standards were adopted. For years, I have been teaching my students to “explain their reasoning”. The photo below shows why this teaching strategy is so very important. 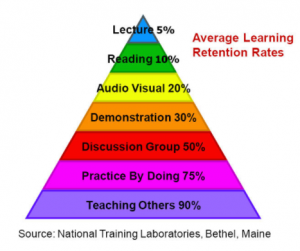 Listening to a teacher lecture about a topic has a 5% retention rate. In other words the students are only remembering about 5% of what the teacher says – Ouch! Repeated practice is much better. 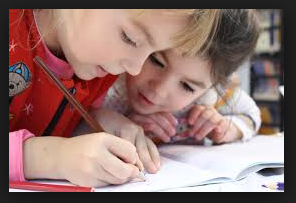 If a child completes his or her homework every night, they will remember about 75% of what they were taught. Teaching their peers is by far the best! Children who explain their reasoning remember 90% of what they were taught. 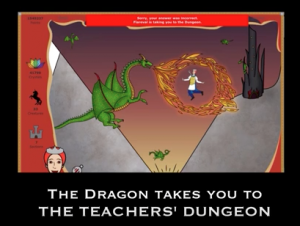 I only know of one learning game that has this feature – TeachersDungeon. As a teacher, I want to know how well my students are progressing toward their educational goals. As a parent, I always kept track of my sons’ academics. If they did not understand a concept, I wanted to know. If they were improving, I wanted to know that too. In order for an educational game to be worth the time spent playing, it needs to keep track of where the players are and how they are improving. My first year of teaching, I started playing with the idea of developing a game that reviewed the entire year’s curriculum. I wanted to spend the last two weeks of school playing the game and review everything that I had taught over the coarse of that year. My first year I taught 2nd grade. Through the years I moved from grade to grade. After over 25-years of teaching, I have taught every grade from 2nd through 6th. 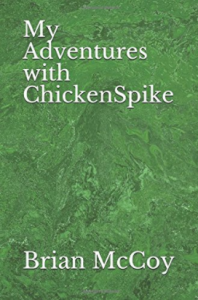 With each new grade level, I developed a whole new set of questions for my game. Like other learning games out there, I implemented a Freemium Pay Structure for TeachersDungeon. However, I wanted to help as many children as possible – whether you can afford to enhanced version or not. Because of that, I put the “educational meat” of the game into the free portion of my game. My “Life’s Mission” is to help as many children as possible reach their full potential. I truly believe that every child can have a fruitful educational career. That is why I have put the “educational meat” in my free version. However, I also have to provide for my family, so I put two more aspects within the paid version of TeachersDungeon. In order to see your children’s educational progress you need to purchase the paid version. Although your child can continue to battle the dragon and earn magical crystals, they cannot save creatures, and build their castle unless you purchase the enhanced version of TeachersDungeon. 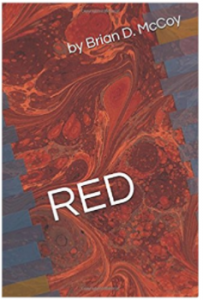 A number of people are seeing the true value of my game and are purchasing the enhanced version. However, as previously stated, my vision is to help all children achieve success, I have made these two aspects the only thing that separates the Free version from the paid version. 1 – TeachersDungeon is aligned to the Common Core Educational Standards. TeachersDungeon is intended for children in 2nd through 6th grade. It covers the key standards for each grade in the subjects of reading, language arts, mathematics, history, social studies, and science. 2 – TeachersDungeon adjusts to each child’s individual ability level. Children begin playing TeachersDungeon by answering a series of questions called a “Royal Battle”. These questions begin easy and get progressively harder. Once a child gets a certain number of questions incorrect, the game-logic sets that child’s gameplay at his or her ability level. As children continue to play the game-logic continues to assess their progress and adjust their gameplay. 3 – TeachersDungeon has a healthy balance of educational value and gaming rewards. GamePlay – The gameplay is set within a castle grounds where players are attempting to build a grand palace. However, an evil dragon keeps attacking. He flies in and spits fire at the player’s avatar. Here is where TeachersDungeon got it’s name. There are four professors trapped within the dragon’s dungeon. The professors come to the rescue. They change the dragon’s flames into questions of reading, language arts, math, history, social studies, or science. 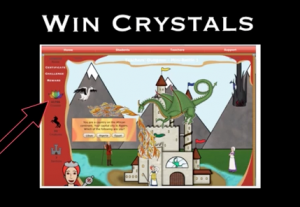 Magic Crystals – Players earn magical crystals each time they answer a question correctly. Magical crystals are used in three ways. First, to build the castle walls. Second, to save people, pets, animals, and mythical creatures form the dungeon. And finally, to raise the avatar’s royal status form blacksmith all the way to king or queen. Mini-Battle Questions – These questions are given as a review of what the player has learned in school. Once a player completes the Royal Challenge, and their gameplay level is set, all their Mini-Battle questions will be pulled from the prior grade level’s question bank. For example, if a player’s gameplay is set at a 4th grade level for math, then all the mini-battle questions will be 3rd grade review questions. In this manner the player not only feels successful, but they also get a great review of what they should already know. 4 – TeachersDungeon shows children how to achieve the correct answer. Tutorial Questions – Tutorial questions are designed to challenge the player at his or her current level of ability. Since these questions are right at their current ability level, they come with video tutorials. If a player gets one of these questions wrong the dragon carries their avatar back to his dungeon. The professors offer a video tutorial that explains how that question is correctly answered. 5 – TeachersDungeon is the only game known that allows children to reach the highest level of learning. The power of explaining your reasoning – TeachersDungeon is unique in that it allows children to not only watch a video tutorial when they get a question wrong, but also allows them to make their own video tutorials when they get questions correct. By allowing children to create and submit a tutorial this game fulfills the highest level of learning – it allows children to explain their reasoning. When a player answers a question correctly, it goes into their bank of correctly answered questions. Then the player can go into this bank of questions and choose one to make a video tutorial. Whiteboard apps work exceptionally well for creating these tutorials. Once the video is created, players save the video to their camera roll or desk top. Then they simply follow the direction on the TeachersDungeon website to upload the video. The recommended whiteboard app is Explain Everything. You can find it here for most devices. Just scroll down and choose between Apple, Microsoft, Google Play, or Chrome for Chromebooks. 6 – Learning Games must keep track of children’s educational progress. It is important to know where your children are academically. As I mentioned earlier, regardless of where your child stands: below grade level standards, at grade level standards, or above grade level standards – improvement is always our goal. The simplest way to measure growth is to look at the number of questions answered correctly. Next 4-Simple Steps for Dividing! WOW – This is GREAT!!! I’m going to keep reading your posts – they are fantastic!